Phife Dawg (Malik Taylor) of A Tribe Called Quest passed away this week. It is a huge loss for the hip hop culture and music in general. Tribe was my favorite. Q-Tip and Phife were my ultimate dream team. The two emcees complemented each other perfectly, yet I was always proud of Phife when he was given the chance to shine on his own on certain tracks. I learned a lot from Phife as a professional. He was known as the five foot assassin and that’s how he approached his work. He would arrive to the studio or show, open his microphone case, connect to the equipment, and methodically dismantle detractors with his lyrical arsenal – he was a hired gun. Never did he involve himself in gimmicks or any sort of style that could be considered wack. He was widely respected among his peers and back-packers alike, providing an added dimension to a group that was already artistically eclectic. But what always stuck with me was Phife’s relationship with his microphone. He talked about writing rhymes, being judged by critics, his freestyle prowess, all while involving his closest ally – the mic. Phife talked of the microphone as if it was an honor to even use it. Just plugging it in was a blessing. In the above rhyme Phife lets you know that we’re under the jurisdiction of the microphone and that substandard emcees will suffer the consequences by law. The mic being the supreme decider – the moral authority of hip hop. Phife often addressed the microphone like a longtime co-worker, a confidant, a consigliere. There wasn’t another emcee with such high regard for the function and code of the mic. The respect that Phife displayed was obvious, natural, and noble. 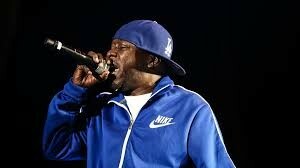 Phife taught me that the mic, above all, should be respected and maintained with high standards. That means both the physical upkeep of it and most importantly, the sounds that actually come through it. Like a Michelin-star chef expediting food at the pass with a close eye for detail in the pursuit of perfection, the mic has the last say of what’s being served. Although it is a tool, the microphone shares an extremely intimate relationship with the mic holder. Only when they work together in a symbiotic flow, do they both achieve optimal purpose.